A. Habitat. B. Inflorescence. C and D. infructescences. Apparently, this group of plants, which currently has 985 different species, many of which are endemic or unique, further studies must be done and perhaps new discoveries may come to light in the near future. Such findings highlight the importance of protected areas in perpetuity. The Natural Bird Reserve El Pangan was created in 2002 thanks to the interest of ProAves in preserving the still pristine forests of the south in the foothills of Nariño Pacific. Cataloged as an Alliance for Zero Extinction (AZE) site www.zeroextinction.org, the reserve has more than 20.600 acres of directly and in perpetuity protected conservation, where there have been bioliteracy processes with the surrounding community and the nearby villages, including Junín, San Francisco de Cuchirrabo, Mirador de Tajadas, El Gualte and El Gavilán. El Pangan Bird Reserve is home to approximately 360 birds species, among which are 21 endangered, 2 endangered, 13 Near Threatened , 4 vulnerable and 49 endemic (EBA-041 Stattersfield et al. 1998). As for the Herpetofauna (amphibians and reptiles) we have an approximate record of 21 species of amphibians divided into 6 families and 17 species of Reptiles, distributed in 7 families. As for mammals there are approximately 36 species logged distributed in 21 families, of which 10 are globally threatened. It also has a variety of Lepidoptera (butterflies), 91 species in 68 genera, 6 families and 14 subfamilies, of which 28 species are endemic, 20 species are rare or very rare and 66 common species. SKU: Diana Gamba, Frank Almeda & Marcela Alvear. 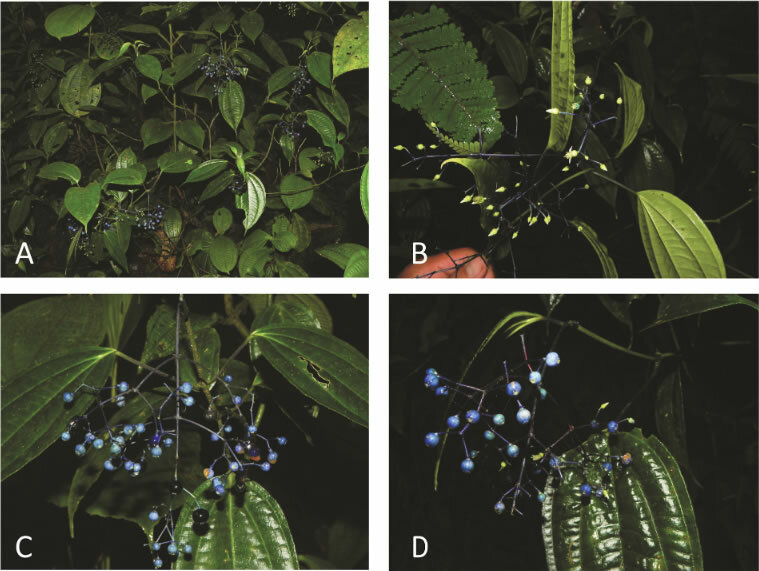 2014 indicoviolacea Miconia (Melastomataceae: Miconieae): a new species from the Colombian western flanks of the Cordillera Occidental. Phytotaxa 177 (3): 171-176.